Please browse around my site, my latest products are listed below. 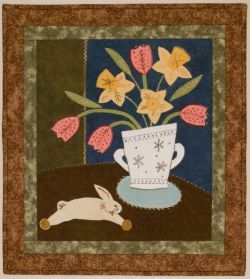 8" x 24" Kit includes pattern,wool background with wool applique. 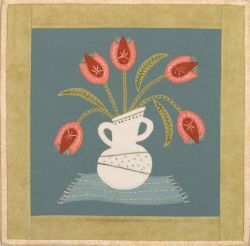 Embelished with embroidery. Directions include use for Eleganza perle cotton and DMC floss. 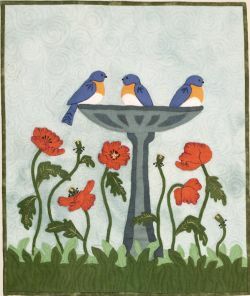 This design was inspired by a memory I have of looking out the window one morning to see baby blue birds lined up along the rim of the bird bath. Needing some color and movement in the composition, the red poppies were added below the bird bath.